Identifying Good and Bad Bugs in Your Garden - ProGreen Plus | Knoxville, TN | Lawn Mower Parts | Riding Lawn Mower Parts | ServiceProGreen Plus | Knoxville, TN | Lawn Mower Parts | Riding Lawn Mower Parts | Service | We've Got Your GRASS Covered! When you find insects in your garden, your first instinct might be to destroy them, but that’s not always the best course of action. Some insects are destructive and should be controlled, but of the more than 1.5 million known insect species in the world, more than 97 percent are beneficial to gardens, or simply benign. That leaves less than three percent that are agricultural and nuisance pests. Beneficial insects perform vital functions in the environment. More than 75 percent of crops and an equal amount of flowering plants rely on animals to distribute pollen, and most that perform this task are insects. Bees, butterflies, moths and even beetles and flies pollinate plants. Every year in the U.S., honeybees alone pollinate about $15 billion in crops. Insects also perform the important tasks of aerating soil, breaking down dead materials and returning them to the earth, and serving as food for wildlife. Some insects, such as ladybird beetles and green lacewings, also eat harmful pests, which helps to keep the environment in balance. What should you do when you spot an unknown insect in your landscape? You certainly don’t want to squash a good guy, but it’s not advisable to ignore a troublemaker, either. The next time you see an unknown bug in your yard, follow these three steps to assess whether it’s a good or bad bug. Observe. Take a close look at the insect and note what it’s doing. Snap a photo, if possible. If the bug is eating, and the result of feeding is causing extensive damage, it’s likely a pest. Also, note if more than one insect is present. A large number of insects congregating on plants may indicate a pest infestation. The sooner you verify this fact, the sooner you can get the problem under control. Research and Identify. Compare your photo — or an actual bug that you’ve captured and killed —to images of insects on various expert sites, including the The Bugwood Insect Imagesand the Agricultural Research Service Image Gallery. Also look for images on sites maintained by university entomology departments. If after some research you suspect that you might have an invasive pest in your yard, contact your local university cooperative extension office by mail, or show up in person with your photo or bagged bug specimen. There, an agricultural agent will be able to ID the insect for you. Use high-quality control products. If you wish to wage battle against invasive pests in your yard, opt for Worry Free® Brand Insecticide and Miticide Ready To Use, which kills more than 250 pests. The active ingredient in this product is pyrethrins, which is derived from chrysanthemum flowers and is quickly destroyed by heat and light, so there are no residual effects. Keep in mind, however, that this product will harm any insect that comes in contact with it. Chevy 350 Small Block in Murray Lawn Mower! Insane Chevy 350 Small Block in Murray Riding Lawn Mower! Here is a link to a page that list all of the gas stations in your area that sell 100% gasoline without any ethanol. John Deere Gator 6 x 4 – Yes! We work on those! 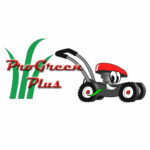 ProGreen Plus can service all brands of ATV’s including John Deere Gators! Here is an example of one that we just finished servicing this week. Gardening will be easier, more productive and, well, just a lot more fun when you have the right tools at hand. Here are a dozen garden tools that every gardener should have. What Spark Plug Cross References to 794-00055? © 2014 MowerPartsZone.com. All Rights Reserved.